Designing an MVP always poses challenges, as it seems full of compromises. Designing one with a real mission motivates despite all the limitations on the time frame and resources. In January 2017 we had the opportunity to work on the Wattler Android app, which among its many visions aims to increase personal energy consumption monitoring. Closely following gas and electricity usage not only shows the money spent but also raises awareness of the lifestyle we lead. Prioritize sustainability; this vision drove the intensive month and a half we spent on working with the Wattler team. In a short time frame like this, we needed to think about the multiple functionalities of every basic exploration method. A hypothetical persona workshop started us off, not just to introduce the client’s possible target audience but also to get familiar with the problem. Then came our clients’ perspective on a successful product. We also got directions for the upcoming interviews and user tests which we could schedule in our time frame. Does anyone actually monitor their energy consumption? This question actually challenged us not only from the perspective of recruiting interview subjects but also from that of future user acquisition. What motivates people to do so. We discovered two kinds of personas: those who keep track of their consumption (yes, some conscientious people do!) and those who need awareness education. This workshop provided even more domain knowledge indirectly and a view of our clients’ visual and stylistic preferences. We used Aaron Walter’s template and could set up basic design principles that helped with the process and tone. These general values also clarified that the MVP won’t involve just illustrations and funny empty states. Considering the short time frame, we could have reasonably chosen to fully follow material design guidelines during the design process. However, the fallback of creating an MVP app that looks exactly like everything else in the store would have deprived the product of memorability. Instead of using Roboto, we chose Open Sans to give a special touch to the interface, which had inherited its purple main color from the company logo. 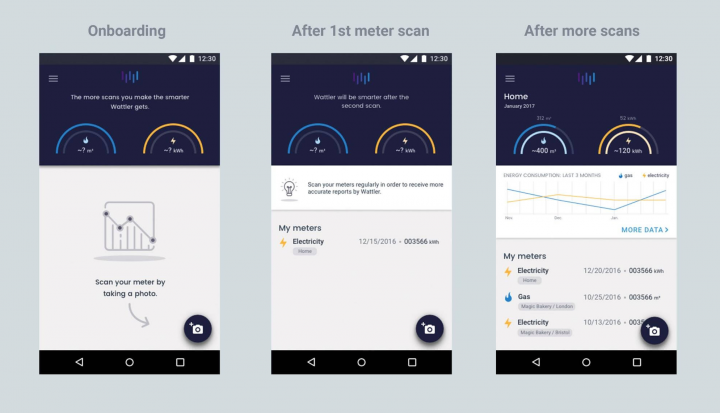 As we ideated about the app’s different navigation possibilities, we tried to keep the two kind of personas in mind: the power user who visits the app daily to scan the meter and analyze the diagrams, and those who only record their meter monthly or because they need to report it anyway. The dashboard had to reflect these two types of attitudes immediately. Therefore, we designed the scanning functionality to remain within reach, and of course we could easily implement the material fab icon as a solution. In our free e-book, called the Product Manager’s Guide to UX Design, you can learn about designing digital products. Visualizing data makes up a separate profession by no accident, so the task was challenging, especially from a mobile UX perspective. We needed to keep things simple to make it comprehensible at first sight. Aiming to open up toward those not used to analyzing graphs and diagrams, we went with the simple approach. We took examples of well-known apps that also handle data so we could provide familiar looks and logic. (d) It also checks daily averages. Wattler provides an intermediate solution between the status quo and a smart home. As a practical solution, it raises awareness about sustainability. Data will allow it to improve in several directions. From tendency analysis to providing weather and location based predictions about consumption, opportunities abound. Then comes the potential value behind building a community and going sustainable together: gamifying the entire educative process (eg. : “You saved three trees” etc) and translating it into tangible achievements could become the vision of a movement. But much need doing until then. Do you have any experience in mobile UX design? 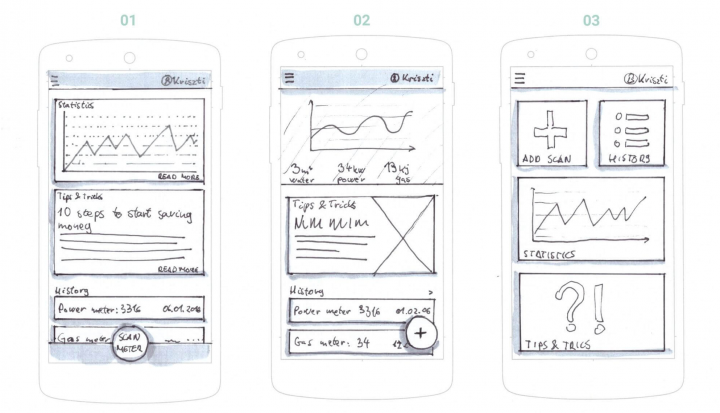 Have you ever worked on designing a mobile app? Let us know in the comments! If you want to learn about mobile UX design beyond blog posts, surprise yourself forwith our Product Design book to dive in our case studies and learnings! 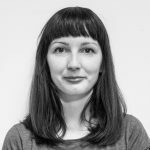 Superempathetic designer with a strategic mindset. Designing accessible products is my ongoing mission in my digital product design journey. Thank you very much for sharing the process Katica! I really love the output, well done! How important was the process of the actual meter reading (Getting the data from the meter into the app) for you? The meter reading was very important and I guess I should have dedicated an entire section to that. Thanks for Anyline mobile OCR SDK (https://anyline.com), the entire text recognition was solved and we ‘just’ had to customize and adjust it to the Wattler app. Soon you will receive your very first UX studio newsletter.